Once every 50 years, we entirely drop format, dress up like characters from a TV show, and drink beer that only a nerd would buy. 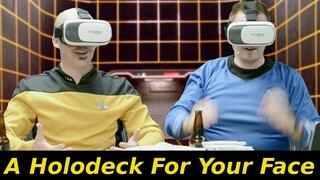 THIS is our Star Trek 50th Anniversary Edition of Category5 Technology TV! Oh yeah, and we cracked a bottle of "official" Star Trek beer! Enjoy the show, and thank you SO much for supporting Category5!! !